At Jack Wolfskin, there’s much more to the term "human resources": for us, this doesn’t just mean preserving and protecting the health and abilities of our employees – it’s also about supporting them and driving them forward. In this vein, a comprehensive sports and healthcare programme occupies centre stage – both during and outside of working hours. The aim of our health management is to strengthen factors such as commitment and loyalty in our teams, as they are what bring Jack Wolfskin forward: motivated and successful co-creators of our success. Sporting components become a unique outdoor experience at Jack Wolfskin, as exercise is good for both body and mind. 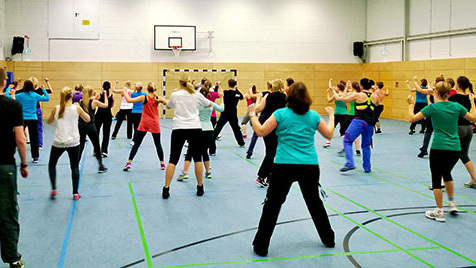 We offer our employees dynamic group exercise classes such as yoga, Zumba, Dynamic & Spirit, back muscle training courses and various outdoor activities, including mountain biking, outdoor fitness, football and much more. True to our motto: "At home outdoors!" Outdoor weekends are a firmly established feature of our company’s calendar. 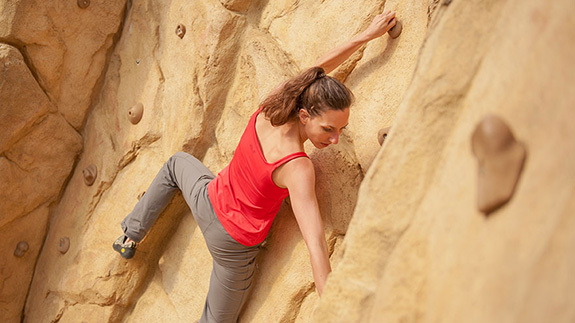 We combine activities such as yoga, climbing, slacklining, mountain biking or hiking with relaxed barbecues and camping in the great outdoors. The best part is that we spend this time putting our Jack Wolfskin products through their paces. Speed, endurance and team strength are the centre forwards in this sport. 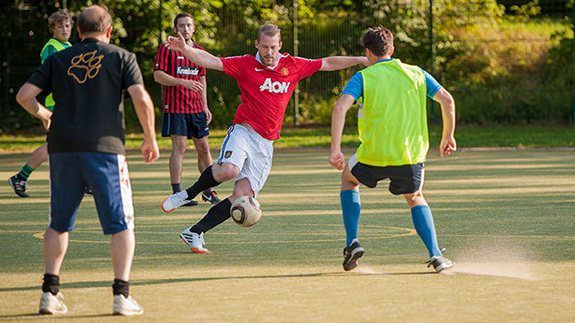 Employees from various departments meet to play football regularly – in our own sports hall or at a pitch around Idstein. Climbing – the only way is up! For climbing, we rely completely on our partners and train in the correct use of strength, balance and flexibility. The bouldering events and weekends provide variety. We enjoy group dynamics on our mountain bikes. 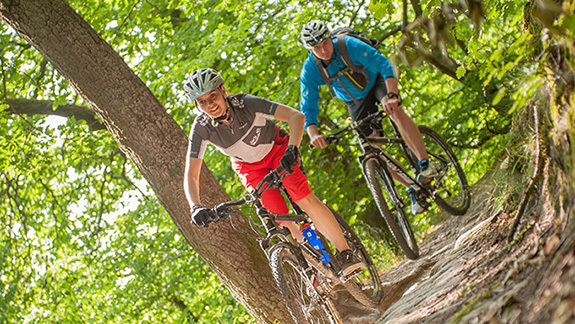 Experience the beautiful Taunus mountain range for yourself on company bikes. No route is too muddy for us. Endurance training is combined with green landscapes. We move together to the rhythm of salsa, merengue, mambo and cha-cha-cha. Fun and a holistic musical group experience are at the heart of this physically demanding workout. Outdoor fitness provides strength, endurance, flexibility and coordination, and combines it with a closeness to nature. The professionally led training sessions help our employees to break down stress, clear their heads and recharge their batteries. 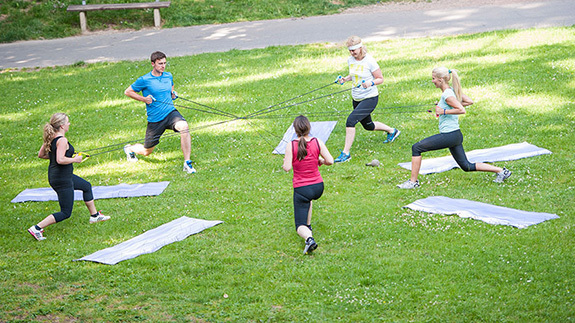 Outdoor fitness – the perfect alternative to the gym. Whether playing in one-on-one or doubles, the lunch break will provide you with plenty of time for a match with your colleagues. We, at Jack Wolfskin, absolutely love hiking and enjoy every moment outdoors. 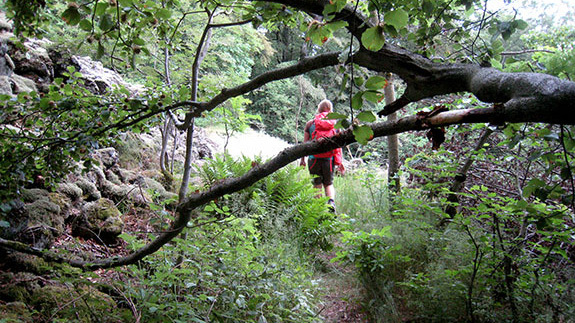 On our various hikes we collect great experiences and enjoy the peace away from the city. 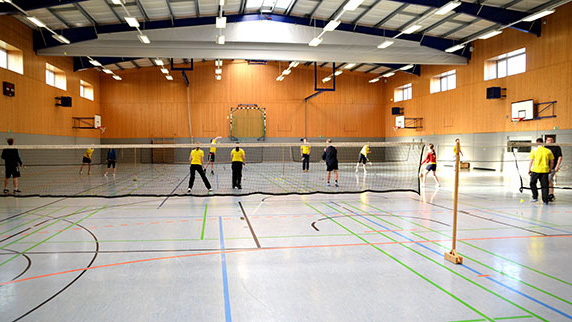 We are always meeting to play badminton in our sports hall. The versatility of this sport and the speed of the game will give you a physical and mental high, from the lunge to the jump smash. Why yoga at midday? Because it’s the perfect time to offer our employees an opportunity to both strengthen muscles and relax. Using special exercises, we relax and stretch our muscles, which are shortened by sedentary activity. 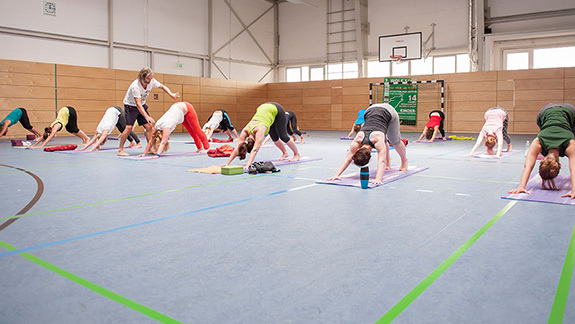 In addition, the yoga sessions provide a balance for the daily demands of work and give our staff strength for the rest of their working day. 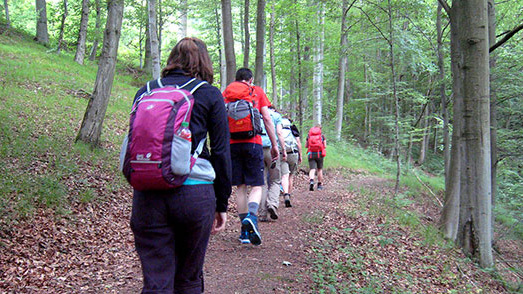 Our employees regularly meet to take part in orienteering exercises in Idstein and the surrounding area. The task consists of a race against the clock to pass a number of control points with the help of a compass and map. Constant communication within the team serves as a guarantee for a successful run. 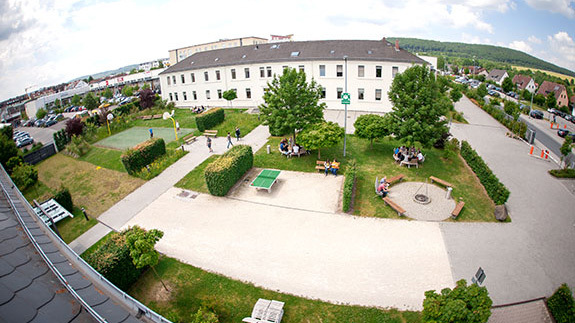 Our campus is especially inviting for relaxed working hours during the summer months. Alongside a table tennis table, there is also a large area for barbecues with benches and loungers, as well as a basketball and volleyball court. Just a stone’s throw away is our own Jack Wolfskin sports hall.